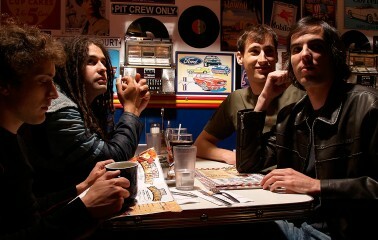 Moneen’s upcoming shows will be their first in the U.S. in 5 years. The co-headline tour with Moving Mountains will include support from Prawn and tickets are on sale now at the links listed below. Moneen is also touring in support of the upcoming re-issue of their coveted 2003 sophomore album Are We Really Happy With Who We Are Right Now?, which will be released on vinyl LP (180 gram black vinyl with gate fold packaging and printed insert; Limited to 600 copies) for the first time ever. Fans can pre-order the record now at http://bit.ly/1PgNy9m. Catch one of the band’s rare performances in the U.S. at dates listed below.